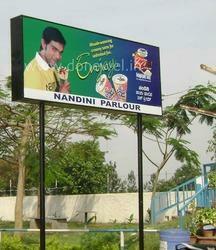 We are one of the leading manufacturers and suppliers of Display Signboards. These are in compliance with well established norms of the industry and offered by us in varied sizes and specifications. We ensure that these products are of highest standards of quality and offer cost-efficient performance. Further, we also offer superior erection services that are reckoned for their result-orientation and effectiveness. Offering Standard Roll Up Banner, Outdoor Hoarding, Self Standing Display, Trivision Display, Translit Backlit Glowsign Board, Safety Signage Boards, Pylon Board, Acrylic Glow Sign Board, 3D Sign Boards, Demo Tent, Glow Sign Board, LED Neon Sign Board, SS Brass Display Board, LED Edge Lit Signs, Electric Windspout, Multi Image Scroller, Slim Backlit Light Box, Name Plate, Signage System, ACP Sign Board, ACP Pylon Signage, Vinyl Printing Signage, Imo Signage, Directional Signage, Reflective Signage, Police Barricade Signage, Road Sign Board, SS Barricade, Digital Sign Board, LED Board, LED Display, LED Signage, Corporate Banner, Fabric Banner, Flex Banner, Frontlit Flex Banner, X Banner Stand, Display Hoarding, Hoarding Sign Board, Outdoor Flex Hoarding, Mini Hoarding, Inshop Branding Hoardings, Acrylic Sign, Acrylic Sandwich Board etc. Also offering Eco Solvent Printing, Injet Printing With Laminate etc. 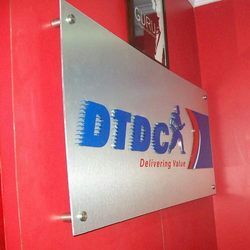 We are the largest house towards making of Vinyl Glow Sign Boards, Digital Printing, Flex Boards and Solvent Process Printings having Plotter machines, Digital Machines and Solvent flex Printing Machines (All Imported) fully computerized and air conditioned. Since last 20 years, We are working all types of jobs with full customer''s satisfaction, Skill ness and perfection in our jobs, are our specialties. We never use sub-standard material in our products. We manufacture and supply the high quality of Sign Boards that are manufactured with best quality of raw materials.We have designed these boards by using clear words and good color combinations. Our services are availed by an esteemed list of clients based in various countries such as India, China and Europe. We undertake various assignments encompassing of designing exhibition stalls, creating event setups and providing the requisite materials for the advertising and promotion of client brand. 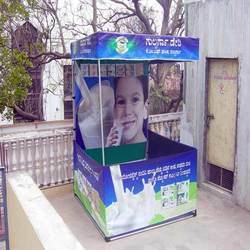 Our services comprises of exhibition stall design, exhibition stall set up, advertising solutions, roll up stands, advertising banners, display systems, display stands, event coordination and event set up. 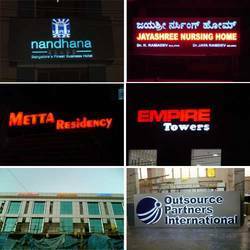 Technologically high LED sign boards is one of our products, which is widely used by reputed organizations as an advertisement medium. A full colour pixel is formed by a cluster of red, green and blue diodes. The whole picture display is formed with absolute pixel resolution. 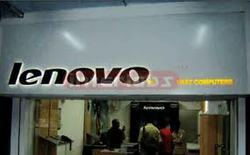 We specialize in manufacturing custom LED sign boards. 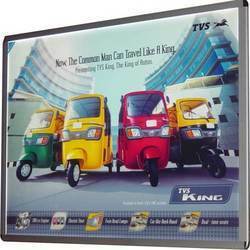 We are a leading Manufacturer of Video Wall Display and Vinyl Printing Signage from Bengaluru, India. 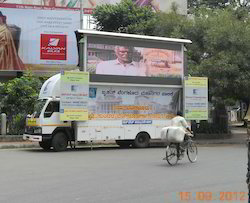 We specialize in offering our clients with different types of Display Hoardings, that are highly demanded by the clients for advertising purposes and these Display Hoardings we are dealing only in South India. 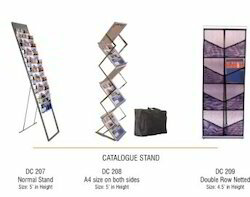 Manufacturer of a wide range of products which include Catalog Stand, Standard Rollup Stand, Standard Roll Up Banner and Roll Up Stand. 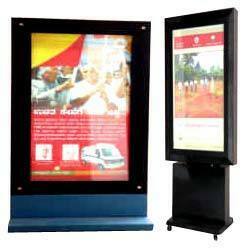 Our range of products include Slim Backlit Light Box. 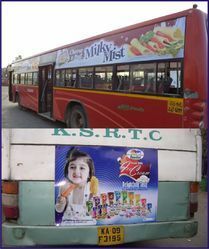 We specialize in offering our clients with different types of Banners, that are highly demanded by the clients for advertising purposes,and These Banners we are dealing only in South India. 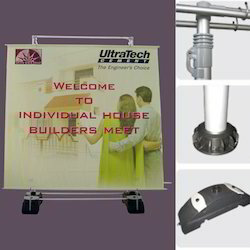 Offering you a complete choice of products which include Multi Image Scroller and Electric Windspout. 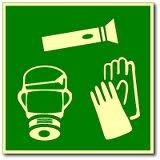 Pioneers in the industry, we offer Safety Signage Boards, Directional Signage, Reflective Signage, Signage System and Road Sign Board from India. 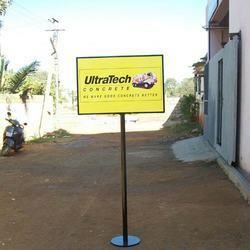 Manufacturer of a wide range of products which include Demo Tent. 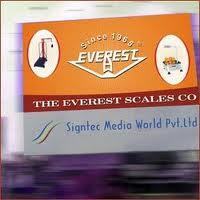 We are a leading Manufacturer of Imo Signage from Bengaluru, India. Our product range includes a wide range of Traffic Barricade, Metal Police Barricade and Police Barricade Signage. Offering Printing Services such as Eco Solvent Printing and Injet Printing With Laminate. 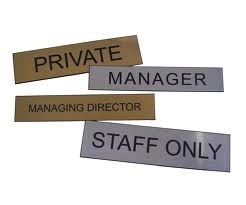 We are a leading Manufacturer of Name Plate from Bengaluru, India.